No it’s not a phone from the Minecraft community!! During our recent podcast we mentioned that Google are looking to put a stop to the Nexus line. Instead they’ll be launching a Google-branded phone from this Autumn… or this fall if you are stateside. Well, fresh news is arriving that the tech giant is looking at expanding the Pixel line up to phones too. It comes after the launch of their Pixel branded tablet last year. Looking back may be that a Pixel-branded phone was in the works last year, given that they did not have any new Nexus tablets and instead had an up-market tablet under the Pixel branding. The in-coming phones are likely to be called Pixel and Pixel XL, with the Pixel being the 5″ version and the XL being the 5.5″ version of the HTC built phone seen in the wild so far. The rumour mills also suggest that we could expect an upgraded Chromecast device being able to spin out 4K video. We may also get Google Home for your home automation needs and a Google Daydream VR Headset. Whether every product name from Google is going to get pixelated or not, time will tell. There is a rumoured event penned in for the 4th of October for Google to reveal all. We will no doubt see more news flow in as we head closer to the time. 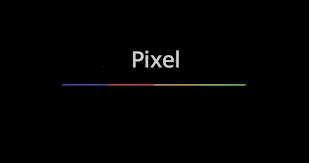 Do you folks like the Pixel branding? Or would you rather just stay with Nexus or just call them Google phones? Flow in your thoughts in the comments!